Of the 394 companies in the Standard & Poor’s 500 Index that have reported since Jan. 9, earnings for the quarter ended Dec. 31 increased 5.1 percent on average and beat analyst estimates by 3.2 percent. Some 70 percent of the companies have posted better-than-projected results. via Corporate Margins And Profits Are Increasing, But Workers' Wages Aren't | ThinkProgress. Judge Napolitano: But the biggest sound bite of last night comes from another cowboy from Texas. 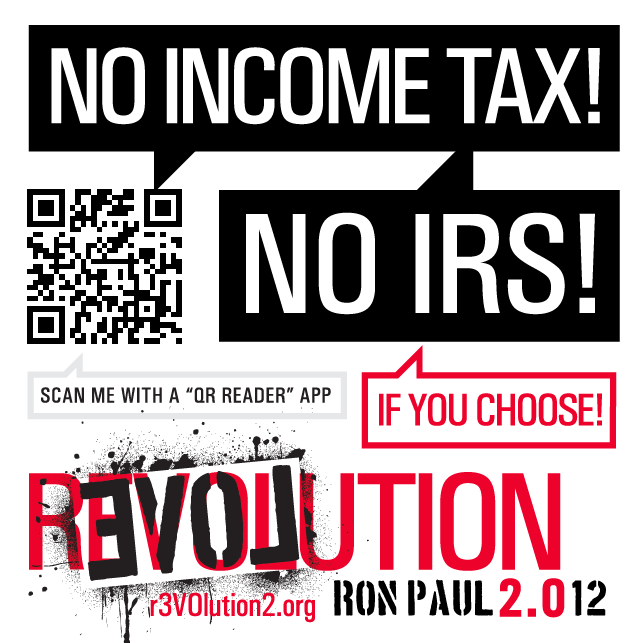 Congressman Ron Paul, whos tax ideas outgunned his opponents. 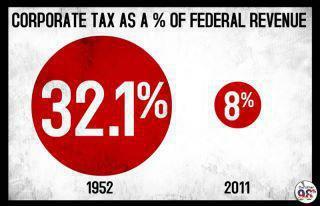 Ron Paul: We should have the lowest tax that we’ve ever had, and up till 1913 it was 0%. What’s so bad about that? Debate moderator: So you’re answer is 0? Judge Napolitano: Zero! Joining me now to discuss abolishing the income tax is a man who’s no stranger to studying and analyzing taxes. He’s Stephen Moore, head of the editorial board of the Wall Street Journal. Judge Napolitano: Can we take Congressman Paul seriously at his word? That were he to be nominated and elected President, he would move to reduce the income tax rates to zero, or as he says, gradually abolish the income tax, shrink the government down to its Constitutional size, and force it to go to other resources for cash. Stephen Moore: This is a point Ron Paul made very effectively last night, which was for the first roughly 130 or 140 years of our nation we didn’t have an income tax, and yet we did have a prosperous country, we got richer every year, and so there’s no reason we can’t imagine what America would be like without an income tax. Stephen Moore: As an economist, can you imagine America’s competitive position in the world if Ron Paul were able to get our income tax rate down to zero, when other countries have 30, 40, 50% rates… you would see the most insourcing of jobs into America in the history of the world. Ron Paul's 0% Tax Proposal Would Create Most Jobs "In History of the World" | Ron Paul 2012 Presidential Campaign CommitteeRon Paul 2012 Presidential Campaign Committee. At a time when the federal government is starved for cash — and facing layoffs and cuts in services across the board — more and more corporations are sidestepping their traditional tax rate and keeping millions of dollars for themselves. The number of U.S. corporations structuring their businesses in such a way that they can avoid higher taxes has skyrocketed in the past quarter century, The Wall Street Journal reports. Advocates for the business community have expressed frustration with the country’s 35 percent corporate income tax rate, calling it unreasonably high. In practice, though, it’s common for big businesses to pay much less, thanks to a cornucopia of tax-code loopholes and exemptions won by lobbyists. The issue of corporate tax participation has become especially pressing in recent years, as the country struggles to manage its ballooning deficits. Corporate taxes for non-financial companies have fallen more than 13 percent since 2007, according to Bloomberg. At the same time, the national debt grew to $15.23 trillion from $9.13 trillion — a number larger than the economy itself. According to a recent analysis of nearly 300 Fortune 500 companies by the Citizens for Tax Justice, the average company was paying just 18.3 percent in taxes — a little more than half the official rate. And by using techniques like industry subsidies, stock option packages, and moving assets overseas where they can’t be taxed, 30 companies mentioned in the report — including Wells Fargo, Verizon, Boeing and General Electric — didn’t pay a cent in federal taxes in 2008, 2009 or 2010, the report found. The phenomenon affects state income taxes as well as federal. Last month, another study from the Center for Tax Justice found that corporate tax avoidance had cost states a combined $42.7 billion between 2008 and 2010 — a period when budget shortfalls forced states to cut spending for health care, public schools and care for the elderly and disabled. 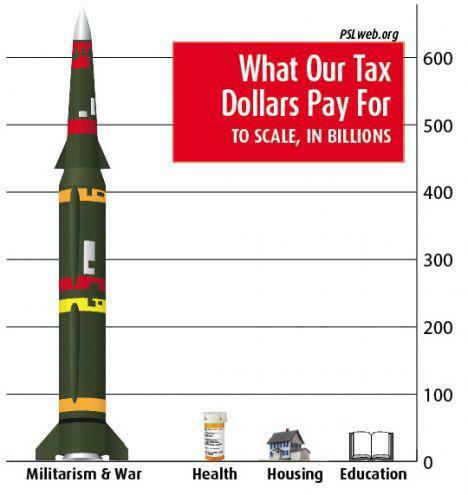 Over Two-Thirds Of Corporations Pay No Federal Corporate Income Tax.